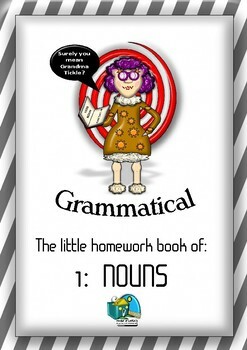 The first in a series of 'The little homework book of...' which begins with parts of speech (word classes) and nouns. 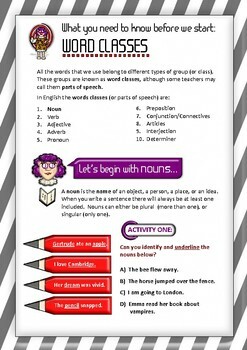 Only four pages in content this homework, or activity book if so required, provides students with the basic information about the different types of nouns (with examples) and then a number of activities to complete. This is A4 in size. This could also be used as a quick grammar starter activity. Suitable for students in Key Stage 2 and low level students in KS3. Hope you like this resource. If you do, please feel free to provide feedback and rate.